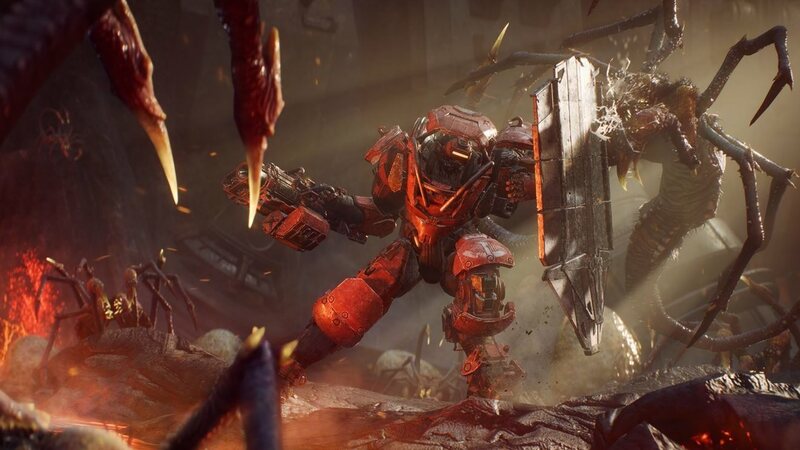 Yesterday Kotaku’s Jason Schreier dropped one of his explosive articles upon the gaming industry, this time revealing the sad, grim tale of how BioWare’s Anthem came to be. 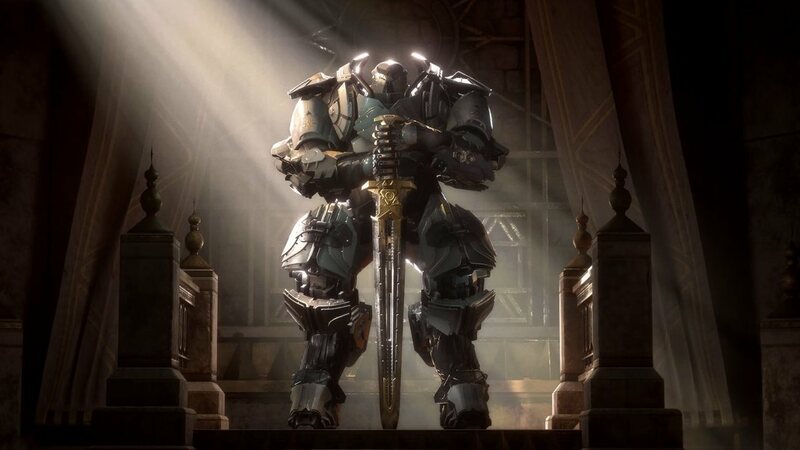 It was, as has come to be expected from Kotaku’s investigative exposés, a meticulously researched and cited piece that step-by-step broke down the maudlin development of Anthem, from the perspective of nineteen current and former BioWare employees, and purportedly the wider development team. Within fifteen minutes of publication, BioWare had posted their response. And it is a bad one. A very bad one, for some very serious reasons. But even more seriously, they also appeared to condemn the very concept of journalism itself. Of shining light into darkness. To do this, they bend time and space to imply that the article was about “tearing down” individuals and people’s work, rather than acknowledging an article that directly quotes staff’s thoughts and feelings about the actions of their superiors, in amongst lengthy details on the process of the game’s creation. “We chose not to comment or participate in this story because we felt there was an unfair focus on specific team members and leaders,” say BioWare, begging the question of what was unfair, and suggesting it as fact. “We didn’t want to be part of something that was attempting to bring them down as individuals. We respect them all, and we built this game as a team.” Although this respect appears to end when it comes to responding to the views set forward by so many of their staff and former staff. This is, I believe, an outrageous statement. And I’m very inclined to think they know so. Investigative journalism is necessary. It’s unlikely, for instance, that a working environment as allegedly toxic as Riot’s would have begun its ocean-liner-like turn to change without having been so spectacularly exposed by Kotaku’s Cecilia D’Anastasio. BioWare knows this, just like absolutely everyone knows it. Exposure of horrible working practices is an extremely effective way to make both the industry and craft better. To say it doesn’t, to say they “believe” it doesn’t, is, frankly, revolting. If Jason Schreier can be accused of anything, it’s of going on a bit. His article is over 11,000 words long. My dissertation was shorter. It took me the better part of an hour to read, easily distracted as I am. Yet this only makes BioWare’s reply more hasty and thoughtless. For BioWare to have read, digested, and responded to this final published piece in fifteen minutes is, it’s reasonable to suggest, impossible. Their response was either a rapidly adapted canned standard, or a pre-written one, devised after Kotaku approached them for comment ahead of publication (Kotaku supplied some details of the final piece to the studio before publishing). The EA-owned studio had originally refused to comment for the piece, which is unfortunately standard practice, but then they prepared something anyway. And it’s something I think they’re going to grow to regret. They already do everything they can, but there’s always room to improve. It must be splendid as a member of staff in the company to read such paradoxical corporate-speak. It’s already as good as it can be, but we know we could do more! To be able to put out such an inconsistent line is worryingly suggestive of an unwillingness to change – it’s surely impossible to think it without being insincere? They can’t mean both. That “But”. What does it mean? Read on face value, they appear to be stating that no matter how terrible the lives of their developers might get, it’s all fine if they can release a game. When responding to an article that repeatedly refers to the issues regarding the studio’s belief in “BioWare Magic” making everything fine in the end, it really doesn’t bode well that they appear to think releasing something fixes all the “struggles and challenges” of their employee’s years of work. And even if we give them the benefit of the doubt and assume it’s just a violently odd non-sequitur, wow, what a way to give the impression that you just don’t care about the difficulties of the creation process. It’s such a spectacularly tone-deaf statement to make in response to a grisly list of allegations about how employees are failed. “It’s not about them, it’s about YOU, our loyal fans!” But then that’s the idea, to deflect, to bait-and-switch, give the impression that Kotaku is attacking the reader, the player, the BioWare fans. As it happens, it appears to have enormously backfired. The responses to the tweet for the article are… not pretty. It’s fairly safe to say they already know this hasn’t been a masterpiece of PR. “We’ve read the article published on Kotaku today, and take the matters raised extremely seriously. While we strongly dispute many of the allegations made, and do not believe that the naming of names was necessary for the article, we care extremely deeply about the lives and health of our staff, and take seriously the statements made. We intend to launch an internal review of the matters raised, to seek out the truth regarding the allegations and issues. And should we find areas where there is room for improvement, we commit to working as hard as is possible to do so. There, I banged that out in five minutes. Give it a couple more drafts, run it past the in-house lawyers, and don’t immediately throw petrol tankers onto an already raging PR fire. The concern is that something so obvious wasn’t written, and that something so terrible was. It doesn’t exactly speak well of BioWare. Tagged with BioWare, editorial, feature, Anthem.